Earning or renewing your Child Development Associate credential with ProSolutions Training not only gives you in-depth information on how to become a stronger early childhood educator, but it also provides teachers with concrete ways to implement these strategies into the classroom. Below are some of the highlighted courses from the ProSolutions Training CDA program that focus on implementing this child care training into the classroom. The most effective classes don't just disseminate information to children. Rather, they take into account children's cognitive development, and structure the children’s appropriate learning styles and developmental levels. In this hour-long course, you will learn about cognitive development and how it affects learning. By the end of the course, you should be able to identify cognitive developmental theories, explain how these theories help educators understand how preschoolers process information, and list ways to help support their learning in a developmentally appropriate manner. In this same vein, ProSolutions Training also offers courses on cognitive development for infants and toddlers. The development of fine motor skills in preschool is critical. Developmentally, preschool aged children are ready to learn how to hold pencils and other fine motor tools in preparation for the writing stages of Pre-Kindergarten, Kindergarten, and elementary school. In this hour-long CDA course, teachers will learn about the developmental milestones that occurs in the preschool years, as well as the developmental stages of writing. You will also learn about activities you can integrate to help foster fine motor control. Additionally, there are similar courses focused on toddlers and infants as well as courses on gross motor skills for children in these age groups. Play promotes growth in many different areas, particularly with the development of children’s social, emotional, cognitive, and physical skills. One way to support children’s learning through play is by introducing blocks to the classroom. This hour-long course on block play gives you ideas about how to set up a block play area as well as ways to enhance children’s learning as they engage in play in this space. If you want to go the extra mile, you can take this class as part of the family child care course package. The ProSolution’s Child Care Course Package includes 20 hours of child care training and related courses on everything from health and safety to communication with families to planning curriculum. 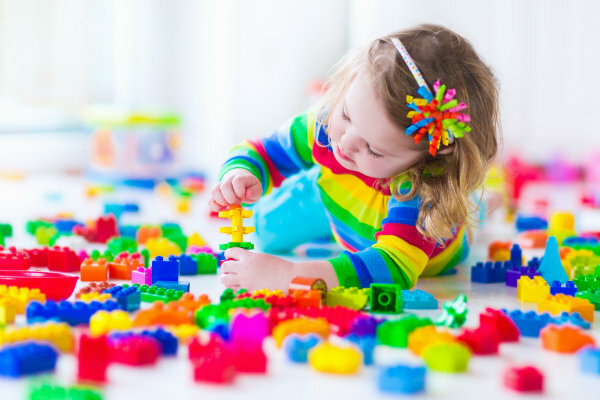 Understanding mathematical concepts, such as sequencing, pattern recognition, and one-to-one correspondence, all have strong foundational roots in manipulative play. This hour-long course focuses on how to integrate manipulatives into classroom play to encourage children’s understanding of these foundational math concepts. During this CDA course with ProSolutions Training, you will understand the role manipulatives play in enhancing children’s mathematical learning, as well as gaining ideas for specific activities you can do with manipulatives in your own classroom. Additionally, if you wish to continue fostering math skills in your students, you may want to take courses such as “Ignite Their Minds: Making Math an Integral Part of Your Teaching” or “STEM in the Preschool Classroom”. The right child care training can help you integrate purposeful play into your classroom. To check out our offerings, look through our online course catalog or contact us directly. At ProSolutions Training, we offer the required CDA courses for people who are earning or renewing their credentials, as well as extracurricular courses to enhance your knowledge.